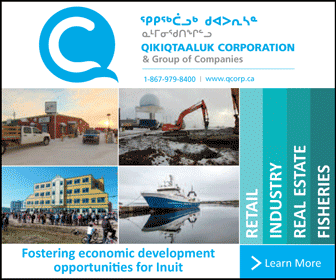 Premier Paul Quassa reached outside the Government of Nunavut yesterday to fill two of three vacant senior GN management jobs. The three vacancies were created by a big shake-up that Quassa announced this past Dec. 1, when three deputy ministers, Chris D’Arcy (Executive and Intergovernmental Affairs), Sherri Rowe (Economic Development and Transportation) and Rebekah Williams (Family Services) departed from their jobs. Effective Jan. 8, Udloriak Hanson will become deputy minister of the Department of Economic Development and Transportation. Bernie MacIsaac has been filling in as acting deputy minister at ED&T following Rowe’s departure. Since January 2015, Hanson, who has a bachelor of business administration degree from Okanagan College and a bachelor of education degree from Brock University, has served as chief operating officer at Nunavut Tunngavik Inc. and, since 2009, as NTI’s chief negotiator for devolution. 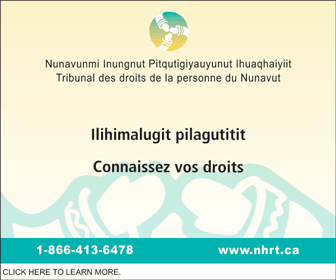 She worked as a senior advisor for the Government of Newfoundland and Labrador between 2013 and 2015 and as acting executive director at Inuit Tapiriit Kanatami from December 2011 to September 2012. Effective Jan. 22, 2018, Pujjuut Kusugak will become deputy minister in charge of the Department of Education. He replaces Kathy Okpik, who now serves as deputy minister of EIA, the top bureaucratic post at the GN. 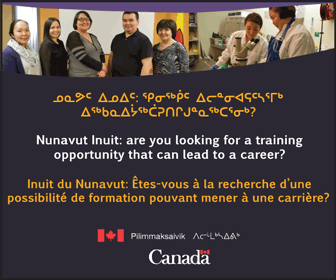 Kusugak has worked as a teacher at Rankin Inlet’s Maani Ulujuk Ilinniarvik and was director of language and cultural development at the Kivalliq Inuit Association. In Rankin Inlet, he has also served as hamlet councillor and mayor. Most recently, Kusugak has been working as senior co-ordinator of community affairs for Agnico-Eagle Mines, a job he started in February 2015. Kusugak ran for the presidency of the Kivalliq Inuit Association in their Dec. 14, 2015, election, but was defeated by David Ningeongan. The only one of the three new senior bosses to have been recruited from within the GN is Sheila Kolola, who will become president of Nunavut Arctic College, replacing Joe Kunuk, who now serves as Quassa’s principal secretary. Kolola, whose appointment is effective Jan. 8, has worked as director of the Sivumuaqatigiit employee training division at the EIA department. “These appointments will help achieve the vision and direction of our new government. I am excited for these leaders to shape critical programs and services, and bring new insight and experience to their respective departments and agencies,” Quassa said in a news release. GN deputy ministers are paid according to their skills, experience, and the size and complexity of their departments, within three pay levels, a GN document released in 2015 said. That means the heads of bigger departments get paid more than the heads of smaller departments. The deputy minister of EIA, the highest ranking non-elected official at the GN, gets slotted into the highest pay grade. • Pay Band 21: Executive and Intergovernmental Affairs. • Pay Band 21: $141,896 to $202,709 per year. Deputy ministers are also eligible for merit pay and bonuses, and perks like northern allowance, a bilingual allowance if eligible and $3,000 per year to cover entertainment expenses. They may take up to five weeks of holiday each year plus up to 10 days of “managerial leave” to compensate for long work hours and high stress. Those pay band amounts are likely higher now, due to annual incremental increases.